Product categories of Electric Pallet Truck, we are specialized manufacturers from China, Electric Pallet Truck, 2.5 Ton Pallet Truck suppliers/factory, wholesale high-quality products of Motorized Electric Pallet Truck R & D and manufacturing, we have the perfect after-sales service and technical support. Look forward to your cooperation! Electric Pallet Truck including semi electric Pallet Truck , walk pallet truck, rider on pallet truck, sit-down pallet truck, the capacity from 1.0 ton ,1.2 ton, 1.5 Ton, 1.8 ton, 2 ton, 2.5 ton and 3 ton. Parallel motor mounting on vertical drive wheel ensures convenience for inspection and maintenance while also ensuring a small turning radius. The structure of motor is water-proof and dust-proof, which makes the brake and motor more durable and reliable. Combined balance wheels and driving system increase steadiness, preventing the truck from being rocked from side to side . 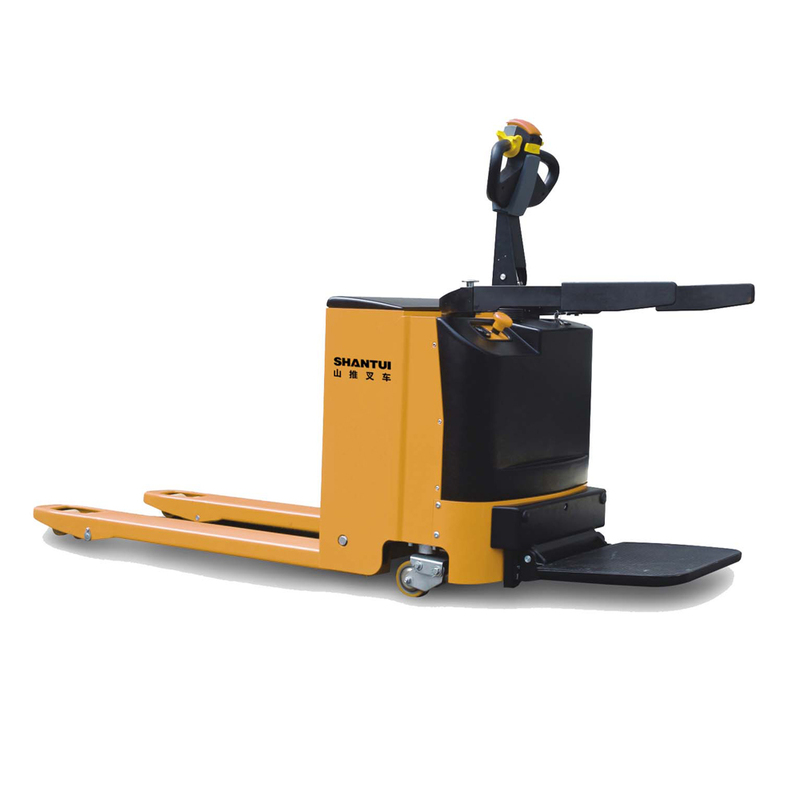 The balance wheels loading capacity can be adjusted according to different situations. One-piece heavy gauge steel is formed for maximum strength forks. Adjustable integrated balance wheel can be disassembled from truck separated, easy to maintain. The platform can be removed from the truck easily for replacement or repair. Low battery voltage cut off protection . AC control system eliminating motor brushes and directional contactors, which minimizes maintenance requirements. Multi-function display: battery status, hour meter, fault code, etc. Side-way battery with roll-out system is very convenient to replace batteries.Emergency reversing device. The platform with speed sensor under platform, ensure safety driving. Built-in pressure relief valve protects the truck from overloads. Braking applied with handle upright and horizontal position. Low speed switch in the handle( option with bypass function). 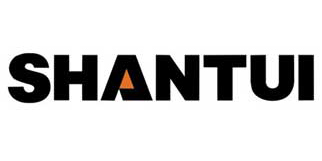 Shantui products including Diesel Forklift, Electric Forklift, Heavy Duty Forklift, Gasoline Forklift, container forklift, Side Loader , pallet truck, Construction Machinery including shantui bulldozer, Wheel Loader , Crawler Excavator, road roller, generator set, motor grader, truck crane, Construction Machinery Parts, Shantui Parts , Cummins engine parts, komatsu parts, and other machinery parts.